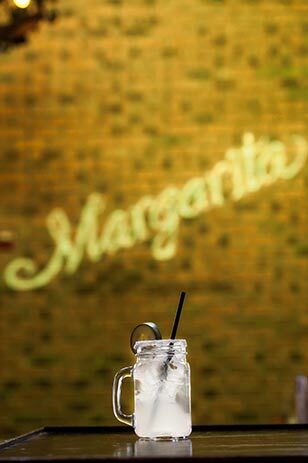 This coming Sunday, February 22nd, is National Margarita Day. And West Chester’s popular Mexican mainstay, Mas Mexicali Cantina, is certainly celebrating with specials and giveaways all weekend long! This giveaway is now closed. Congratulations to our winner Amanda M. Thank you to everyone who participated. Here is something to beat the winter blues! This coming Sunday, February 22nd, is National Margarita Day! And West Chester’s popular Mexican mainstay, Mas Mexicali Cantina, is certainly celebrating. Mas will be offering specials all weekend long, with $7 Patron Ritas all day Saturday & Sunday (the 21st & 22nd) and giveaways & door prizes both days. In anticipation of this party weekend, we decided to giveaway a $100 gift certificate to Mas to one lucky AroundMainLine.com fan! Leave us a comment below by Noon on Sunday, February 22nd, 2015. One winner, who must be a resident of the Main Line or Philly’s western suburbs, will be drawn randomly after the close of the giveaway with the help of random.org. The winner must be confirmed as a resident of the Main Line or surrounding western suburbs and has 72 hours to respond to the email awarding the gift certificate. Gift cards are issued in the winner’s name and are non-transferable. Follow National Margarita Day on Facebook! Mas Mexicali Cantina sounds like a great place to get a margarita! I need a margaritas, and would love to share the winnings with my friends! are used to live in west Chester before moving to the main line. Mas was a great spot in town that featured a beautiful rooftop deck- perfect for summer nights and happy hours. It also serves great Mexican food! Always been wanting to try Mas and patron margaritas always hits the spot!!! Love mas! Especially in the summer on the rooftop! Such a great way to beat the Winter Blues – Yum !! I would love to win this prize. Thank you. Great food! Looking forward to going again. Love Mexican food and margaritas! My husband & I would love to win! yumm! Best taco and guac ever! Would love to win. Love Mex!! Yummy! Would love to win!! i love Mexican cuisine and I’ve never been there! Would love to win! Yum! I’m lucky enough to live right down the street, so this could not be more perfect! This looks so yummy! Would love to win! I have never been there, but would love to try it out.